A role that spans business, medicine, physics and engineering might seem incompatible or at least unmanageable. That is, unless you’re Cameron Piron. 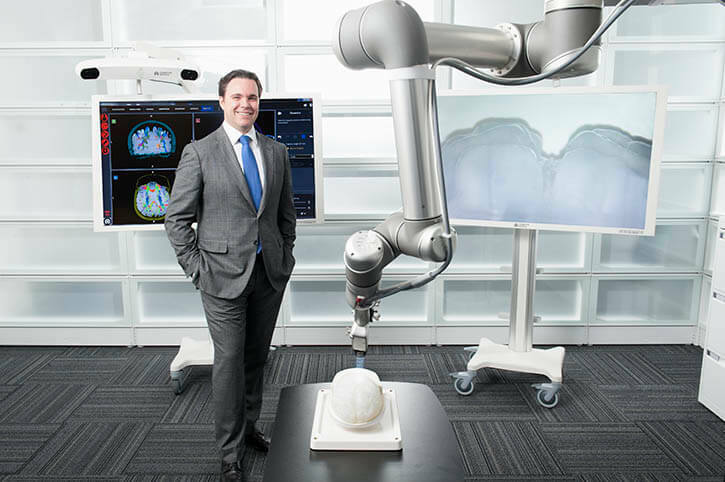 A magnetic resonance physicist and engineer by training, Piron is the president and cofounder of Synaptive Medical, a medical device company that is building “the Google Maps of brain surgery” to revolutionize the work of neurosurgeons. His long-term goal is to merge imaging and surgical technology together as much as possible in order to guide the operating process in real time.